The teacher has a responsibility to create, if necessary, the motivating factors that will spark a student’s desire, interests and understanding of and towards learning. 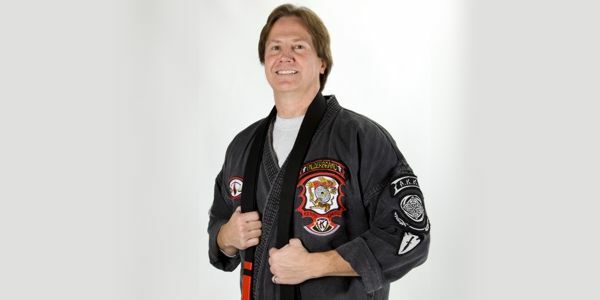 In our Martial Arts journey few will disagree that the coveted “Black Belt” is a goal all aspire to achieve. The desire for this once rare and elusive reward is so powerful that it has been exploited by many studio owners, and individuals. One need only look at the many marketing strategies used by some of these studios, and individuals to find this to be true. It seems that these days everyone has a black belt in some art or another, causing an overall devaluation of this accomplishment in the eyes of many. Though each individual’s achievements are their own, it is important to note that reaching a rank does not always mean that the individual has acquired the knowledge, skills or humility equivalent to what should be represented at this rank. Also, even if one has achieved a portion of the proficiency required at this level, they may still lack the ability to convey that knowledge to others. To understand the intricacies and science of motion, develop concepts and theories into principles and then to transform this knowledge into a system of self defense, and self rejuvenation as well as poses the skills to perform and pass on that knowledge to others in a way that develops physical proficiency, and also instills humility and plants the seeds of moral & ethical standards required with such knowledge should be our ultimate goal as students, practitioners and teachers. Therefore, it takes more than the mere wearing of a “Black Belt” regardless of degree displayed, to accomplish this task. I was once told by a very wise man that there is no such thing as a poor student, only bad teachers. Rarely has so much been said in so few words, and I have come to believe very strongly in the truth of those words over the years. I believe the transfer of knowledge, and subsequent understanding and ultimate mastery of a particular topic of study does not rest solely upon the student’s responsibility to “learn”. 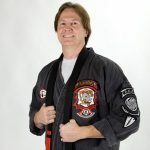 Just because a student may not quite understand, or has trouble mastering a particular subject or movement, as in the case of martial arts, does not mean that they cannot learn. Nor does an individual with emotional, mental or physical challenges become automatically un-teachable. In order for the “learning” process to be a successful one a teacher must “teach”. You may say presume that if someone is a teacher then they automatically teach, and in the general meaning of the word you would be correct. However, the successful transfer of knowledge is not necessarily a given just because someone has teaching credentials. Any teacher can pass on a set curriculum, and gain results based on a specified grading curve. This is known as outcome based education, and contributes greatly to the downfall of our educational system in America today. This method by its very structure overlooks and labels students that may fall behind, leap ahead or have different learning abilities and unfortunately justifies the casualties of this system by labeling them as having “learning disorders”. You see, the learning responsibility is a shared one. The student must put forth the effort, and commit themselves to the learning process this is true. However, the teacher has a responsibility as well to find, or create if necessary the motivating factors that will spark a student’s desire, interests and understanding of and towards learning. The understanding, and eventual mastery of the particular topic of study being the ultimate results of this learning partnership. Nevertheless, creating an environment conducive to a student’s understanding of a particular subject is not the end in itself. True mastery of any topic of study can only be achieved through the teaching of that subject to others. Therefore, for one to master their chosen field of endeavor they must pass on the methods, ideas, thoughts, and both tangible and intangible training aids used to transfer this knowledge to others – the tools of the trade so to speak. However, this is still not enough; a truly great teacher will also instill this same ideology in their students as well. Through my journey in life however, I have also come into contact with those teachers, and instructors who have not always had their student’s best interests in mind. Unethical, immoral, self promoting individuals of unstable or questionable character whom would seek to take advantage of, and exploit others for their own personal gain. These are very good examples of the BAD teachers I spoke of earlier. However, despite the fact that I have come into contact with these individuals, and had unfortunate experiences, I am grateful for their part in showing me the difference between a bad teacher, and a GREAT one. I have also come to know that sometimes a person’s knowledge and understanding of a subject, combined with a strong desire to teach that subject to others is not always enough to ensure a successful transfer of that knowledge, and understanding to a student. A teacher’s ability to demonstrate skills, or motivate a student may be impaired, or hindered by a lack of the proper tools. A teacher may sometimes become so used to a particular method, or tool so to speak, that they loose sight of the fact that it has become outdated, and rendered obsolete through the passage of time, or changing environment becoming ineffective and impractical in assisting a student’s proficiency, or their ability to pass on knowledge to others. So a truly GREAT teacher must continuously reevaluate, and examine their training methods, and tools in order to discover and create new, and innovative ways to pass on knowledge, keep that knowledge up to date and motivate students to do the same when current methods fall short, or have lost their usefulness through the antiquity of time. This we must do in order to stay relevant to the changes in our society, and the way we view self-defense, and ourselves as martial arts practitioners, students, instructors and teachers. Therefore, discovering and developing new, innovative, and practical methods or tools is one of the keys to successful teaching and learning. However, it is also imperative to have a solid moral and ethical foundation in ourselves, for without, we render or efforts mute, and taint the very character of the topic we endeavor to pass on. It is by this process that we ensure a continual quality and growth of our particular field of study and, I feel, offer the greatest compliment to our teachers before us. This is how I view my responsibility as a student, practitioner, instructor and teacher. I am indebted to those truly great teachers I have studied with in the past, and currently study with today who have passed this knowledge and ideology to me.